The anxious Torres family thought they were lost at first while heading 70 miles south from Ceres toward Valley Children’s Hospital in Madera. Suddenly, the large, colorful campus set in an open field emerged on the horizon. “It looked like Disneyland!” Gerardo Torres recalled. The mass turned out to be Wilms’ tumor, a rare kidney cancer that makes up about 6 percent of all childhood cancers. The Torres’s quickly realized the skilled team inside Valley Children’s reflected their same positive first impression. “Everyone is caring and confident; they listen,” Beatriz’s grandparents, Sal and Mary Prieto, agreed. With prompt and aggressive treatment, Wilms’ tumor is successfully treated in most children. 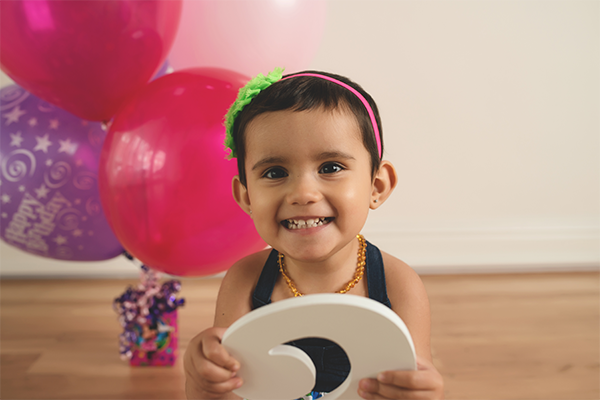 Our pediatric intensive care specialists controlled Beatriz’s dangerously high blood pressure due to her condition before one of our pediatric surgeons surgically removed the mass. After surgery, Beatriz began a comprehensive, five-month treatment plan of chemotherapy and radiation to kill any remaining cancerous tumor cells. “Beatriz is an old soul; she never cried and always smiled,” Lydia said, as Beatriz laughed and twirled in a pink tutu at their home. “She gave us our strength,” Gerardo added.